Cumnor St. Michael’s, Cumnor England: Where they were for several hundred years (at least) before that. I know there are several visitors to this blog who are from various parts of England. Partly inspired by this, I decided I would post about my own (maternal) family’s roots in that country. I’ve been involved in genealogical research off and on for several years and have generally found it easier to follow the path of my mother’s family than my fathers. One of the primary reasons for this is that my mother’s family tended to be farmers and leave records of their transactions and holdings. 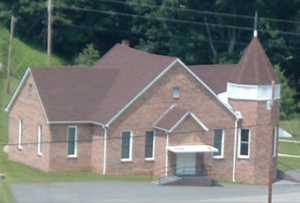 Using those records, I was able to trace my mother’s family through one Absalom Buckner who settled in what is now the Big Pine area of Madison County NC, into VA and back all the way to a village in Oxfordshire called Cumnor. 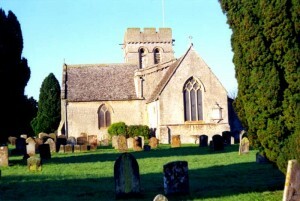 Knowing that my mother’s family was Anglican until they left VA (other branches of the family remained Episcopalian) made it all the more interesting to see the pictures from the Cumnor Parish record of Cumnor St. Michael’s, an old Church in which many of my fore bearers may have worshiped. So the route that branch of the Buckner family took to end up with me, seems to be this: From Cumnor to Virginia, from Virginia to Madison County NC, from Madison County to Asheville and along I came. For those who might be interested, the Bodleian library has posted the Cumnor Parish Record online. The earliest relative I know of is the Richard Buckner listed in it’s pages. The internet is a cool thing.